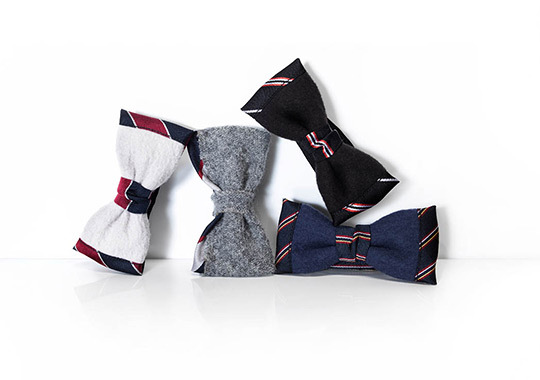 Lanvin releases some very fine bowtie and necktie designs for the upcoming fall and winter seasons. Using a mix of elegant wools paired with variations of striped silk, the different materials and patterns compliment each other nicely in each piece. 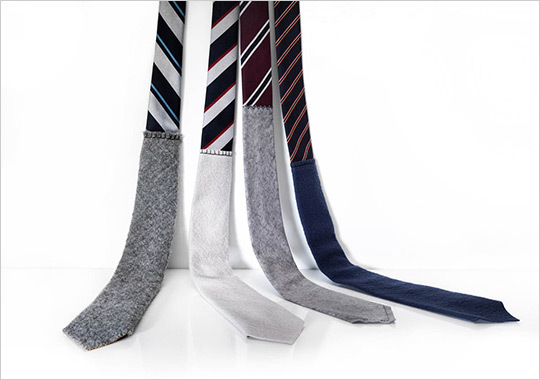 The ties and bowties have that old Ivy-League-prep look to them, and would work well with a wool jacket and solid shirt. You can find these as they become available in the upcoming months at the Lanvin online store. This entry was posted in Black Tie, Collections, Ties and tagged Ivy League. Bookmark the permalink.